Booz Allen Hamilton Hiring Event | February 6 | Lexington, MA | More information and Registration here. JVS Bridges to College Information Technology for Healthcare Program – Next class starts in January 2019 – Information session on Tuesday, January 15 at 10am. Register here. 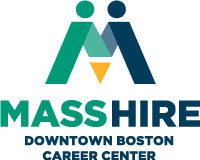 Apprenti Software Development Apprenticeship Program – Boston, MA – Applications and assessments must be submitted by January 15, 2019. Per Scholas IT Support Training Program – Cambridge, MA – More Info – Accepting applications now! To receive updates relevant to the information technology (IT) industry, please sign up for the “Information Technology” Newsletter below.